Marketing fresh produce for over 100 years, Total Produce is Europe’s premier fresh produce provider. 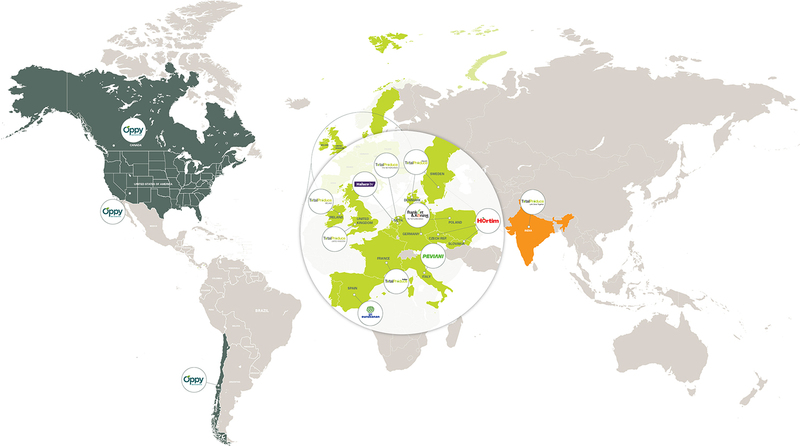 Growing, sourcing, importing, packaging, distributing and marketing over 200 lines of fresh fruits, vegetables and flowers, the Total Produce group distributes some 300 million cartons of fresh produce to the retail, wholesale, foodservice and processing sectors across Europe annually. A balanced business in terms of the sources, products, territories and markets in which we trade, our focus remains firmly centered on refinement of our supply chain; on bringing the grower and the consumer ever closer together, on putting in place the best commercial and horticultural practices from farm to fork, on identifying efficiencies and on adding value and assuring quality- differentiating both our produce and the service we provide. A responsible corporate citizen, adhering to best practice in all that we do, Total Produce is committed to responsible environmental practice, equitable returns for producers and growers and value for the consumer.